After publishing a post about Egyptian demonstrations calling for the government to adopt free software, Global Voices Advocacy (GVA) received an email from software freedom activist Richard M. Stallman (rms). We were honored to learn that a figure as important as rms reads our work! First: Much of what we quote here falls in a grey area between mainstream and social media. Take Eric's Random Writings as an example; it is not a blog per-se, as many posts on the site predate blogs and blogging, but it can be seen as the blog of that time. Second, and more importantly: Although most of the information we mention here has been available for decades, we want to make use of the huge network of translators in GV Lingua and our readerbase to spread the message about Free and Open Source Software (FOSS), especially given that many of the values of the FOSS movement coincide with those of GVO. Both aim to defend user rights to seek, receive and impart information online. 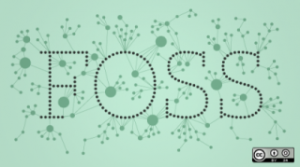 The FOSS movement defends users’ rights to create and have control over the software they use, while GVO – among others – defends users’ right to be the media, rather than just being a consumer of the media. …“free software” is a matter of liberty, not price. To understand the concept, you should think of “free” as in “free speech,” not as in “free beer”. “Free software” means software that respects users’ freedom and community. Roughly, the users have the freedom to run, copy, distribute, study, change and improve the software. The freedom to study how a program works, and change it so it does your computing as you wish (freedom 1). Access to the source code is a precondition for this. Free software developers do have the choice to sell their software if they want to, provided that they adhere to the four freedoms mentioned above. Mac's NeoOffice is a strong example of this. Yet if software developers decide to release their software for free, but do not respect the Free Software essential freedoms, then their software cannot be called Free Software. Many closed-source Shareware and Adware programs can serve as examples here. In those cases, users cannot access the programs’ source code, hence they cannot modify it or study how it works. As long as you don't know how software works and have access to its code yourself, you cannot blindly trust it. It may have the capacity to track your activities, modify your computer, and do a range of other things that you do not want it to do. Making source available does not mean download. It might be that you must get a written request and you send a photocopy of a listing. You are allowed to charge a “reasonable” handling/copying charge. But you can not escape the obligation to make your own source code available. Should we call it “Free” or “Open Source” Software? So far, we have been using the terms Free Software and Open Source Software interchangeably. It's true that the two terms are very close to each other, and being Free implies that it should be Open Source, however since 1998, the two terms sometimes have been used to refer to two slightly different things. The two terms describe almost the same category of software, but they stand for views based on fundamentally different values. Open source is a development methodology; free software is a social movement. For the free software movement, free software is an ethical imperative, essential respect for the users’ freedom. By contrast, the philosophy of open source considers issues in terms of how to make software “better”—in a practical sense only. It says that nonfree software is an inferior solution to the practical problem at hand. For the free software movement, however, nonfree software is a social problem, and the solution is to stop using it and move to free software … In practice, open source stands for criteria a little weaker than those of free software. GNU/Linux is probably the most famous open source project in the world. The GNU project began in 1983 with the goal of creating a free operating system. Later on, Linus Torvalds built the Linux kernel and the combination of the two with many other open source software programs resulted in what we have today: a fully functional operating system competing with the likes of Microsoft Windows and Mac OS. Mozilla Firefox, Apache Webserver Server, and Android provide more examples of programs that have been more widely adopted and trusted than their non-free alternatives. Software manuals must be free, for the same reasons that software must be free, and because the manuals are in effect part of the software. The same arguments also make sense for other kinds of works of practical use — that is to say, works that embody useful knowledge, such as educational works and reference works. Wikipedia is the best-known example. Ideas and projects related to online freedom and openness can be seen today everywhere from Wikipedia, to projects tracking government financial transactions across the world, to initiatives that promote sharing educational material and research papers. See “Egypt: Why Open Source Software?” for ideas on why Egypt (as well as almost any other country) should adopt Free Software.